I have a very easy and in season recipe for you today! Gorgonzola, Pear, and Prosciutto Pizza! Don't let the flavor combination scare you. When my husband came home for lunch yesterday. I presented him with this flatbread without telling him the flavors. One bite and the "WOW!" came out of his mouth. The salty sweet and savory combo put his taste buds on overdrive and he loved every minute of it. 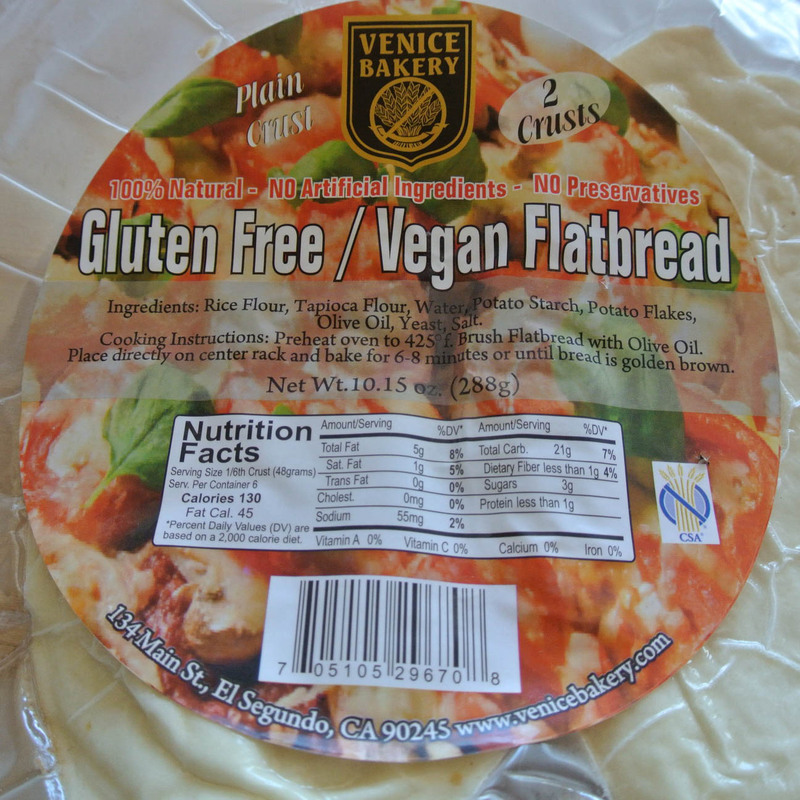 I start out by using Venice Bakery's vegan gluten-free flat bread. It is the best on the market in my opinion. So if you don't have time to make the crust from scratch. Venice bakery is the place to start, and yes you can order them online here. Divide the 1/4 cup mozzarella between the two flat bread pieces. Peel your pear, core it, and slice it into thin slices. Divide the pear slices on the two pieces of flat bread. 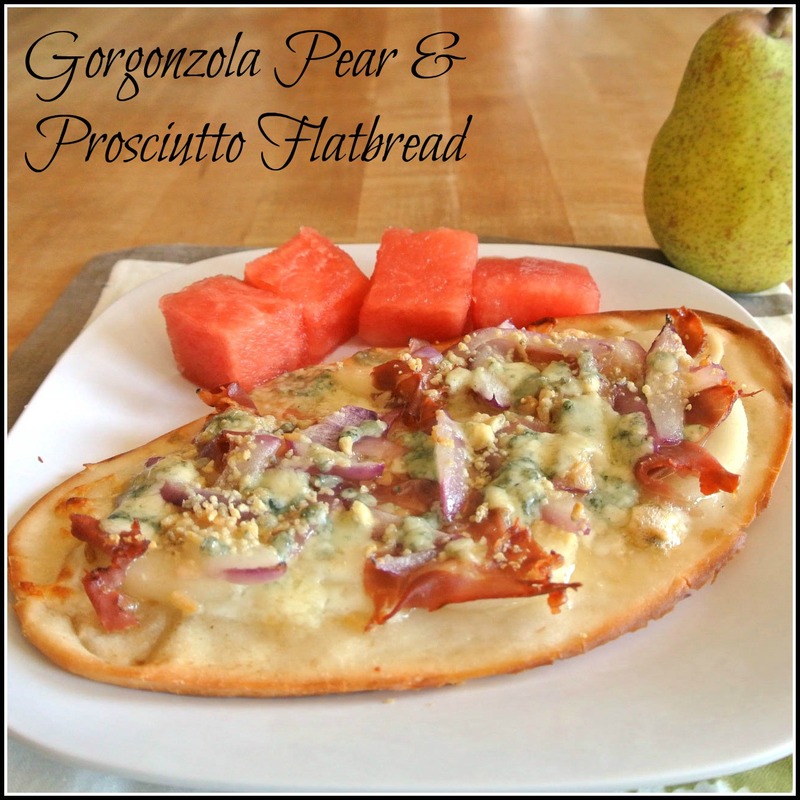 Next rip up your prosciutto and place it on top of the pears, dividing it between the two flat bread pieces. 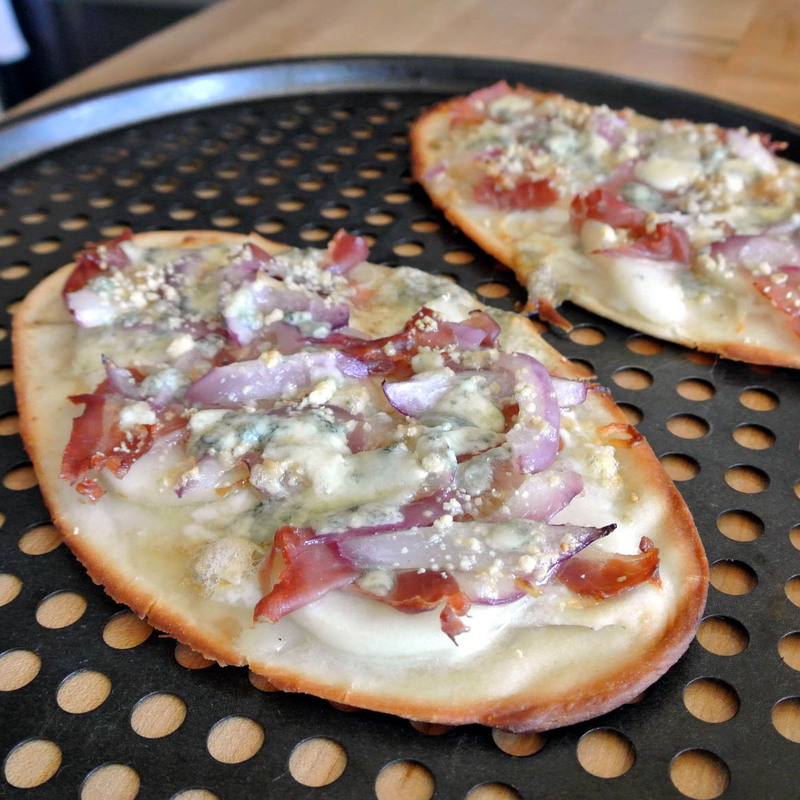 Divide the red onion slices between the two flat bread pieces. Place on a baking sheet and bake for 15 minutes. I used a grill sheet, but you can use a cookies sheet or place directly on the rack in the oven.